Looks are deceiving. The Suzuki APV may be moderately sized but thanks to some innovative design, it’s big on storage space. Speedy delivery to the trickiest of loading bays is easy work with the APV’s super-tight turning circle and hydraulic power steering. 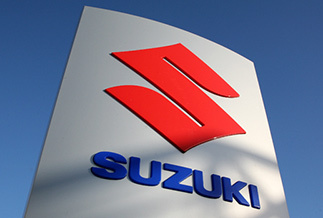 And its fuel-efficient petrol engine has all the low-end torque you need to haul heavy cargo. 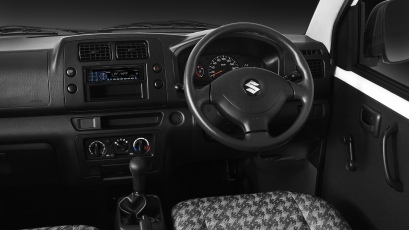 Plush cabin carpet, air conditioning, power steering, a CD system with AM/FM radio and remote central locking are just some of the features which will help even your longest working days fly by in comfort. The compact size and small 4.9m turning radius make the APV easy to park even in the tightest of spots, and easy to manoeuvre even in the narrowest of city lanes, making it the ideal city van. Combined with 185R14C tyres, the 14″ steel wheels are sturdy, durable, and the ideal size for a more comfortable and economical ride. A full size spare wheel is standard. Better visibility all round, improving safety and making it easier for you to find your way around. 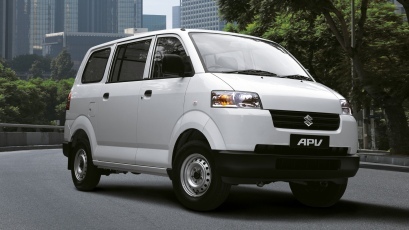 With 3.4m3 of usable cargo space, power steering air conditioning and an AM/FM sound system with MP3 compatible CD player the Suzuki APV is the van for when you have to delivery. Sound System an AM/FM sound system with MP3 compatible CD player for added comfort and enjoyment when driving. The APV is a marvel of space efficiency. 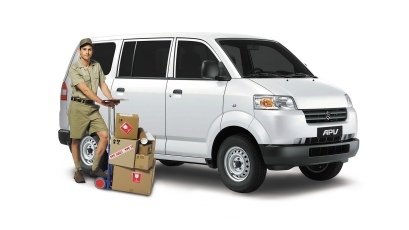 It features over 3 cubic metres of cargo space with superior weight distribution for ultra stable handling. 3.4m3 of usable space. 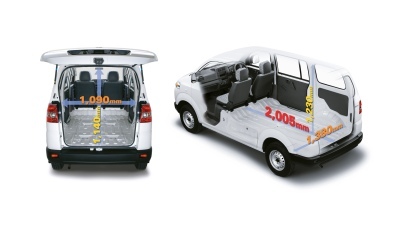 The APV boxy shape makes the best possible use of the cargo area for improved utility and convenience. Power Steering makes the APV more comfortable to drive for longer periods, easier to manoeuvre and park. Air Conditioner with easy to reach and operate controls for added convenience, allows the driver to adjust the internal temperature, making the vehicle environment more comfortable and enjoyable even in the most demanding working days.